The ES4 WCs have been working well and we haven’t had any problems with blockages or maintenance. We have been impressed with how effective they are and would recommend them to other schools looking to reduce water consumption. A school hailed by The Independent as “the most eco-friendly building in the country” has specified ultra-efficient ES4 4 litre WCs, supplied by the Green Building Store. Howe Dell School in Hatfield was commissioned by Hertfordshire County Council and took eight years to plan and build. A host of sustainable features have been included in the building design which was created by a Capita Architecture led design team, including a 20Kw wind turbine, Interseasonal Heat Transfer system, sedum roofs, photovoltaic and solar thermal panels. The ES4 4 litre WCs are flushed in conjunction with electric sensors and using a rainwater harvesting system which conserves water and reduces utility costs at the school. To minimise wastage even further, any surplus rainwater is used to top up the biodiversity wetland area. Robert Edgar, project Associate at Capita Architecture, was clear that water-efficient technologies needed to be incorporated in to the design of Howe Dell school as a way of showing pupils that current levels of water usage in the UK are unsustainable. The design of Howe Dell School has been hugely successful and has highlighted that a combination of sustainability, functionality and affordability can be achieved. 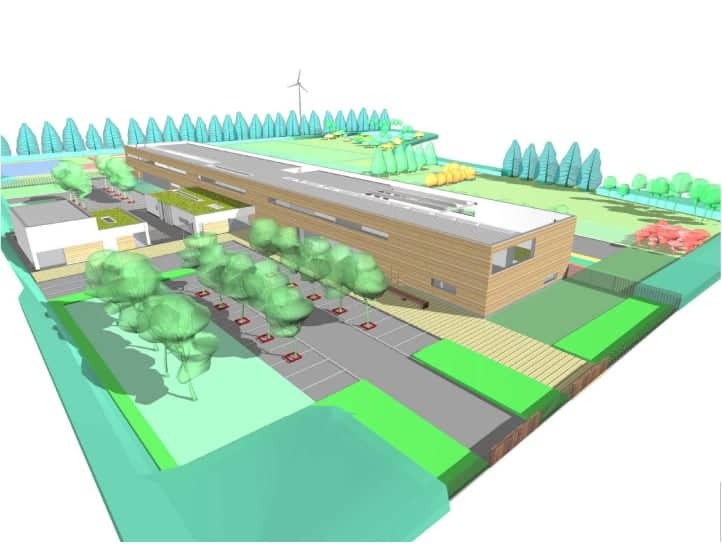 In addition to winning the Eco-Schools Green Flag award, the school was selected as one of the 8 original projects in the pilot scheme for the BREEAM schools initiative and the preliminary appraisal by the pilot assessment panel showed that the design reached a level equivalent to the highest BREEAM rating.